A new system that tracks a customer's spending patterns to deliver personalised marketing campaigns has helped technology retailer Challenger "work smarter" and boost sales. 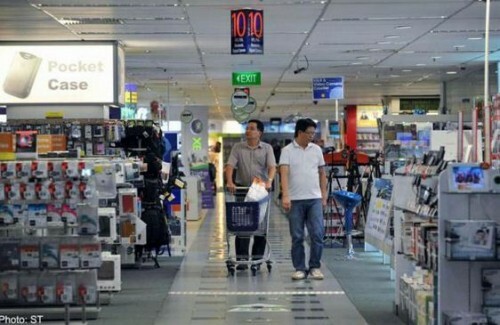 Targeted marketing allows the company to increase sales, marketing head Loo Pei Fen told The Straits Times yesterday. The system sends the chain's 500,000 registered members promotions and service announcements that are generated by a computer programme that looks at an individual's transactions. The move away from "generic, cookie-cutter types of electronic direct mailers of the past" has boosted Challenger's sales by 10 per cent. And even among the members who do not take up the offers, the number of "unsubscribe requests" has shrunk, said Ms Loo. Companies such as Challenger are increasingly using big data to better understand their markets and shape their strategies. Mr Liang Eng Hwa (Holland- Bukit Timah GRC) believes the Government can do more to help businesses in this area so they can work smarter. During the Budget debate in Parliament yesterday, he called for the Government to give companies more access to public data. "The key is to make sure as much (data) is available to the public as is feasible, because better data makes for better business decisions," said Mr Liang. The sharing of information also "avoids waste" in the economy, which is "a problem we currently see on the ground", he added. He cited malls that consist mostly of food and beverage outlets. Even if each firm were to operate productively, the "oversupply of eateries" would mean that resources have not been used optimally, said Mr Liang, and over time, some shops would have to close.